Joan Fontaine’s estate will not sell her best actress Oscar as planned because they say the Academy Awards organizers have threatened to sue them. 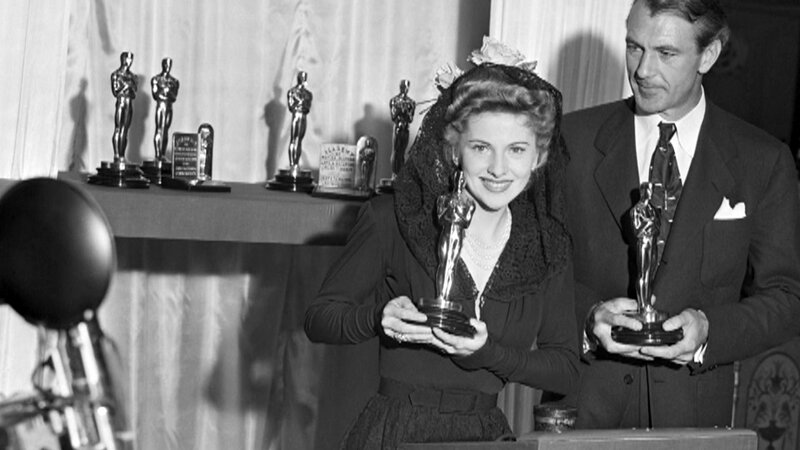 Actress Joan Fontaine won the statuette in 1942 for her role in Alfred Hitchcock’s Suspicion. She died in 2013 at the age of 96. It had been expected to raise between $200,000-$300,000 for the SPCA animal charity at auction. Joan Fontaine’s estate said the Academy of Motion Picture Arts and Sciences had pledged to take legal action. The Academy has banned people who have won Oscars since 1950 and their families from selling their statuettes without first offering it to them for $1. A spokesperson for Joan Fontaine’s estate pointed out her win came before the rule was introduced. In a statement to the Reuters news agency, the estate said: “The Academy of Motion Picture Arts and Sciences was unmoved in the pleadings of all involved, and announced they would file suit if the sale continued. The Academy added it did not “have the legal means of stopping the sale of certain statuettes, including this one”. The dispute comes after the Academy sued the family of art director Joseph Wright, who sold his Oscar for 1942’s My Gal Sal. Paintings, jewellery and other possessions owned by Joan Fontaine are still being sold by the Christie’s auction house to raise funds for the SPCA in Monterey, California.